Get started today and you could find yourself on this page soon! "A certified personal trainer can help you get the most out of your exercise program by speeding up your learning curve, ensuring you're performing each exercise correctly for safety and efficacy, and by adding a measure of accountability." "I chose The Fitness Studio of Annapolis for myself and my wife because they provide a professional approach in a setting that allows me to optimize my workout in the shortest period of time. The facility is spotless, great equipment, professional staff, individual instruction, constant attention and my trainer has become a friend as well as my exercise mentor!" If you are looking to transform your body...This is the place to go! Everyone is friendly and helpful. The trainers are just wonderful! Once you start it becomes an addiction. I feel amazing! Give it a try...you will love it!!! I've lost over 160 lbs so far and am ever getting closer to my long term goal weight. For many years I had a gym membership at large impersonal place which I visited seldom. Occasionally I would go there for cardio or lift a weight just to reduce my guilt from paying monthly fees. Then I found the Fitness Studio at Annapolis. Not only was the space intimate and personal, so were the trainers. 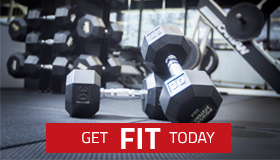 Unlike the old gym, the fitness studio is a "one on one" hour exchange between a professional trainer and you. What began as a once a week session "until I got back into shape" is now a twice a week session for life!